Promotional Items, Inc.™ invites you to select first aid kits. Companion care and custom first aid kits imprinted for healthcare promotion. 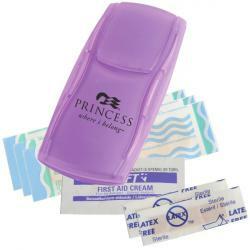 Healthcare promotional products such as first aid kits are useful for a myriad of applications. 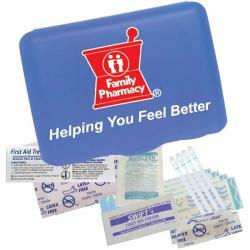 Offering Custom Choice First Aid Kits include a choice of case color and 4 themes of contents. 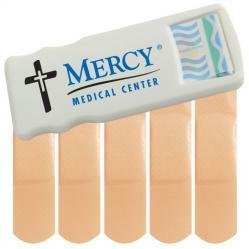 Get your logo on Companion Care Kits, Primary & Instant Care Kits or Bandage Dispensers. Consider all of our promotional first aid kits for their range of applications & the low cost. All of our first aid kits are Made in the USA for assured quality custom giveaways. 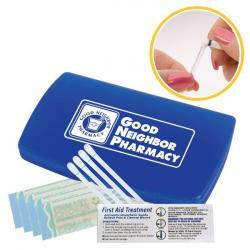 Browse the page to find the promotional first aid kit you desire with your logo. 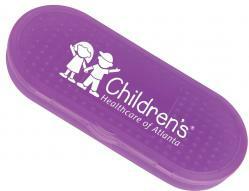 Instant Care Kit and Promotional Bandage Dispenser imprinted with a logo.